Perhaps it hasn’t quite sunk in just yet. After more than a decade in the fight game, Michael Bisping is now the reigning, undisputed Ultimate Fighting Championship (UFC) middleweight champion. That’s a direct result of his first-round knockout win over Luke Rockhold at UFC 199 last weekend in Las Vegas, Nevada (watch it). So, what’s on tap for “The Count” in the second half of 2016? I can think of at least one volunteer. Not surprisingly, mixed martial arts (MMA) fans have been clamoring for a do-over against Dan Henderson, as “Hendo” made the highlight reel hall of fame with his thunderous knockout win at UFC 100 way back in 2009. An idea, based on this retweet, not unwelcome by the new champ. 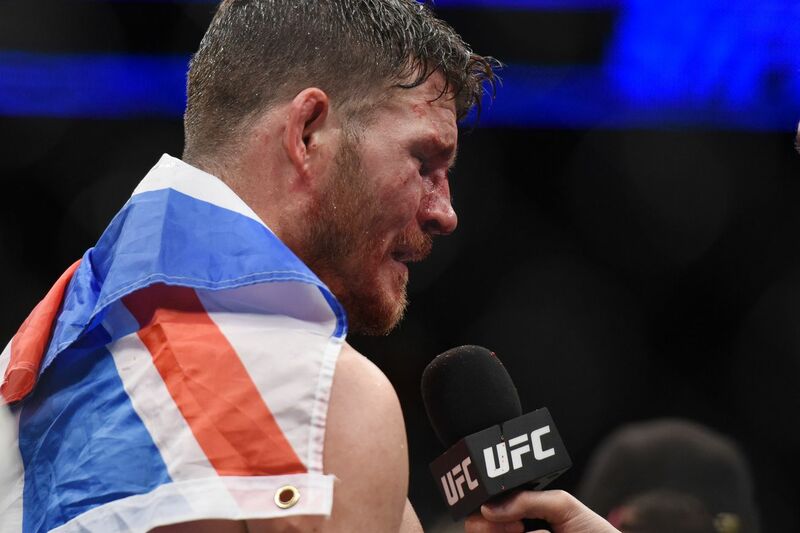 Who do you, as a fan, want to see Bisping fight next?